Hollie has a great life in Tasmania, Australia living with her father, Murray, on their farm. She has a wonderful and supportive group of friends and has met the man of her dreams. However, her dreams are not all good. She keeps dreaming of a woman presumably in Ireland who is unhappy and being abused by her husband. The dream seems so real that she has to find out if it is true. Samantha, or Sam, as her friends and family call her, lives in Dublin, Ireland, is a successful business woman and is married to a charming man. Or is he? Hollie’s dreams take her to Ireland on a quest to find the woman who is haunting her, but little does she know that what she finds will change her life forever. This is a story about family, friends, and finding the truth. I found both the main characters and the supporting characters to be well-rounded and complimentary to the story. 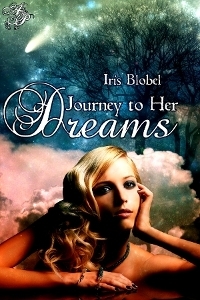 Thank you to Iris Blobel for giving me the opportunity to review her novel.